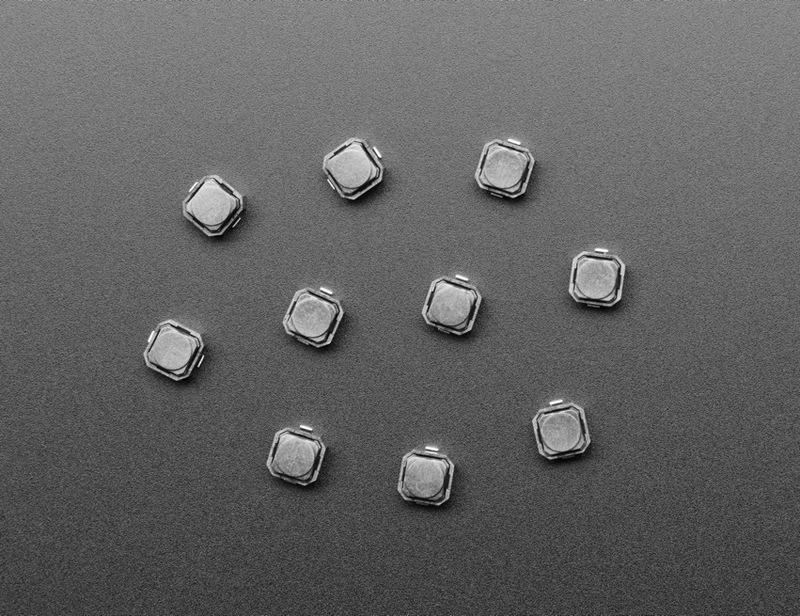 NEW PRODUCT – Mini Soft Touch Push-button Switches (6mm square) x 10 pack « Adafruit Industries – Makers, hackers, artists, designers and engineers! 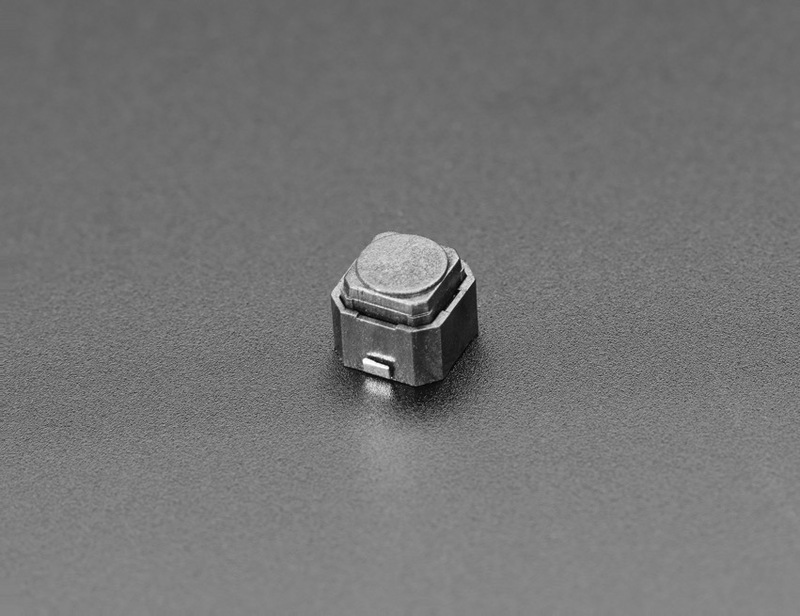 Put your project in stealth mode with these super slim, super tiny, and silent Mini Soft Touch Push-button Switches. They’re less ‘clicky’ than tactile switches, they have a rubbery elastomer that feels good to press. 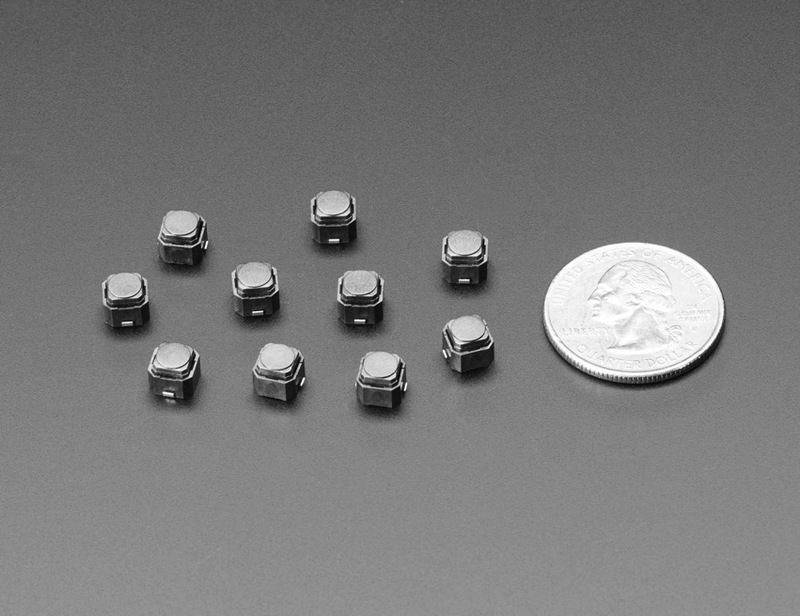 No dangly spider-leg-pins to solder as these buttons are SMD. We see these often in little game arcade pad layouts due to their small size and soft feel. They come in a pack of 10, and they’re pretty handy so you’ll want to keep them around.